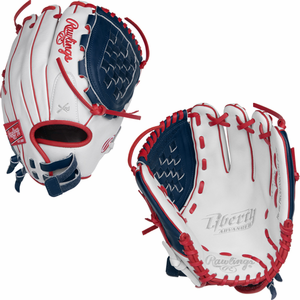 Rawlings brings to the table the classic Liberty Series, but this time with much more flavor. 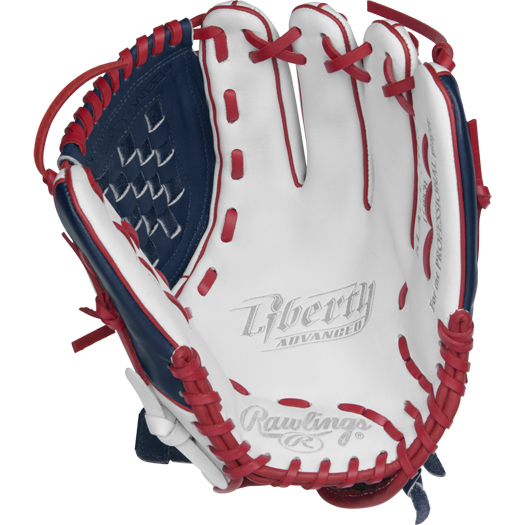 This Liberty Advanced Color Series glove is a 12” pitcher/infield pattern with a Basket-Web, ideal for any utility softball player. 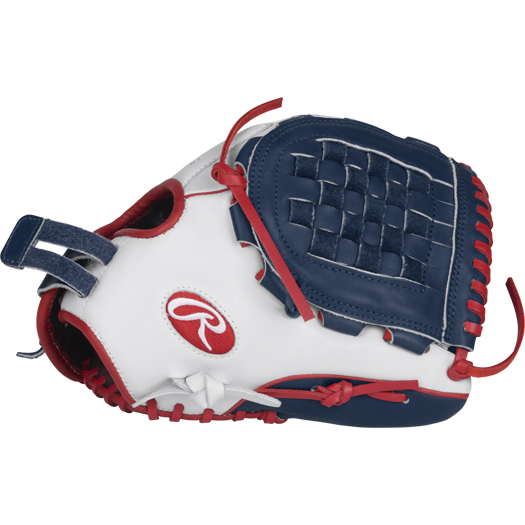 With a PORON XRD Palm Pad and index finger pads for impact reduction, this glove features a deer-tanned cowhide lining and full grain leather shell for complete comfort along with an adjustable non-slip pull strap for a custom feel. 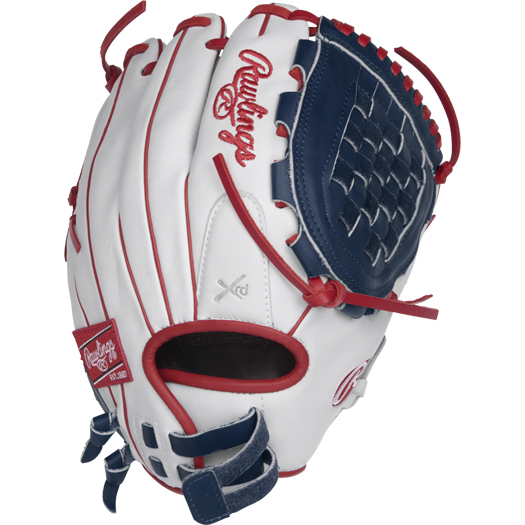 All of that combined with this new patriotic red, white, and navy blue colorway means Rawlings is stepping the Liberty series up in a major way.